Papum Pare in Arunachal Pradesh has been receiving rains for the past four days. Five houses were washed away in massive landslide in Arunachal Pradesh. Itanagar: 14 people are feared dead and many others trapped inside the debris after a massive landslide triggered by heavy rains washed away five houses of a village in Papum Pare district of Arunachal Pradesh today. The landslide hit the village of Laptap in Pamumpare district, about 40 km south of the state capital Itanagar, where last week over 150 people were trapped for three days after a massive landslide. 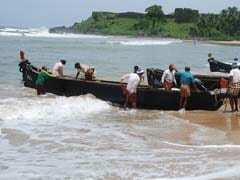 They were rescued by the Indian Air Force chopper, which crashed killing four. A thirty-five member NDRF team has already reached the spot and carrying out rescue operations along with volunteers and villagers of the area. Five dead bodies have been retrieved so far from the debris. 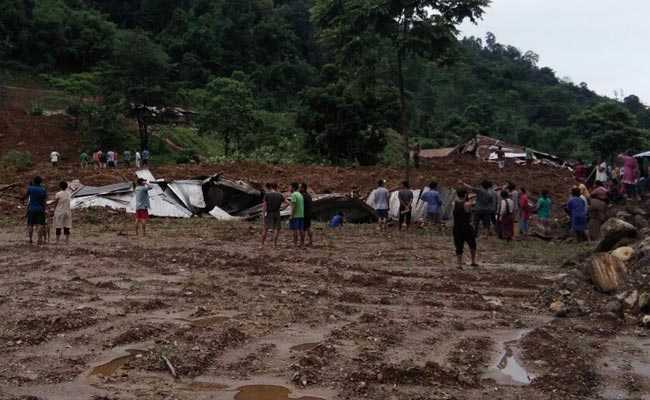 Arunachal Pradesh Chief Minister Pema Khandu has expressed deep shock and grief, and has ordered urgent rescue operation to evacuate probable survivors trapped inside the debris and damaged houses. Mr Khandu asked people to avoid vulnerable places and stop rampant air cutting and deforestation, saying "Arunachal Pradesh has been at the receiving end of nature's fury every year." He has also announced a compensation of Rs 4 lakhs each to the family of those killed. In adjoining Assam, three people died in floods and landslides on Tuesday, taking the number of dead in the state to 33 in the past 15 days. Over 1.2 million people have been affected by floods in over 2,000 villages in the state, the Assam State Disaster Management Authority said in a bulletin. The floodwaters have swamped over 100,000 hectares of agricultural land, damaging standing crops, it said. Papum Pare has been receiving rains for the past four days.